To launch a new contemporary art service aimed at the advertising industry, we sent messengers dressed in white overalls to deliver an ‘all white book’ to the heads of UK advertising agencies. 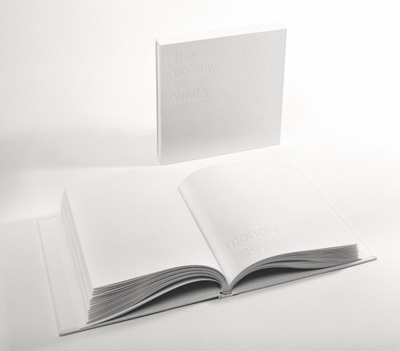 // The White Book won Best Direct Mail at theDesign Week Awards. Intro devised the name and the overall communications strategy for the new venture, as well as executing all the creative work and formulating subtle and sophisticated promotional ideas.